We’ve had our first proper days of Spring sunshine and nothing signifies that more to me than the fact that we were able to go foraging for wild garlic last weekend. 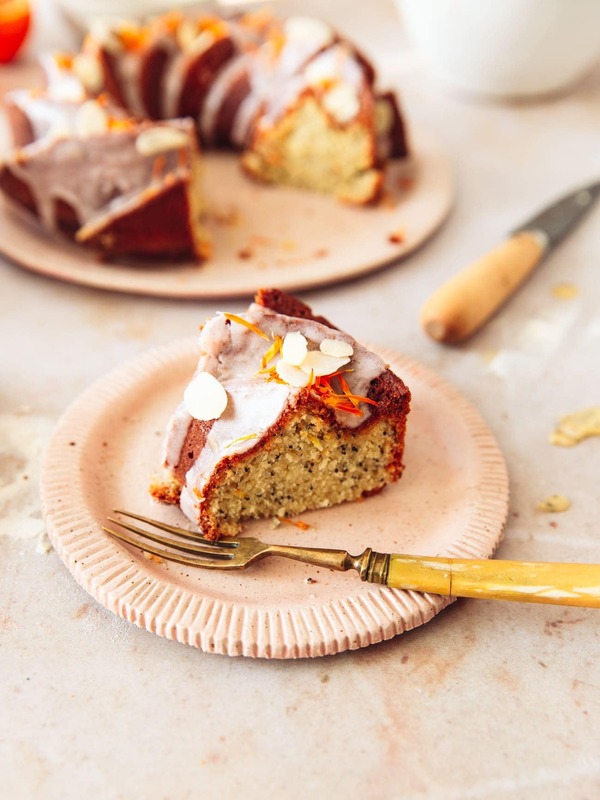 To say goodbye to the Winter season, a blood orange poppy seed cake seems perfect! 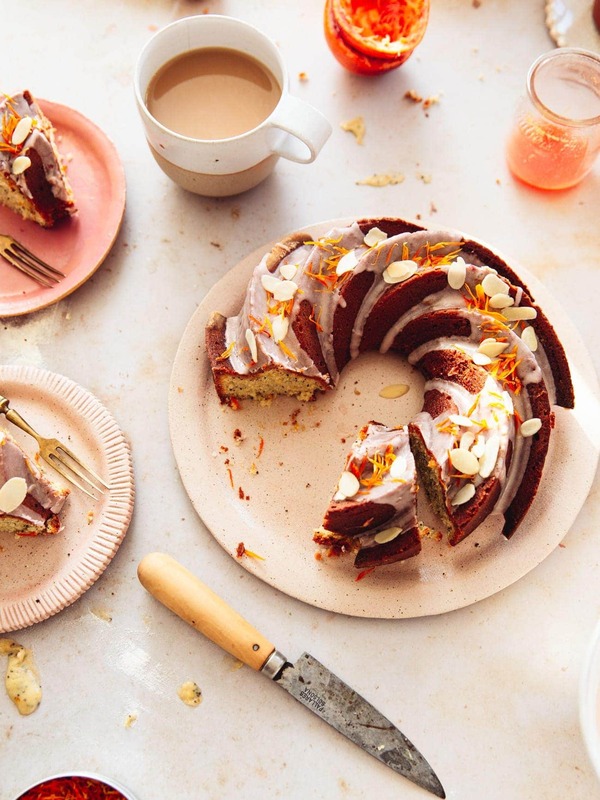 A bright glaze and zingy flavour, just what we want! I’ve gone through a definite phase when I was younger of *hating* fruity desserts whilst becoming completely obsessed with lemon cake. I baked lemon muffins, cupcakes, layer cakes, loaf cakes – all of them. I found one of my favourite lemon cakes on Saveur the ‘Best Damn Meyer Lemon Cake‘ which I’ve tweaked over time to make it even more to my taste. What I really like about it is the ground almonds in the batter which really help the crumb stay extra buttery. 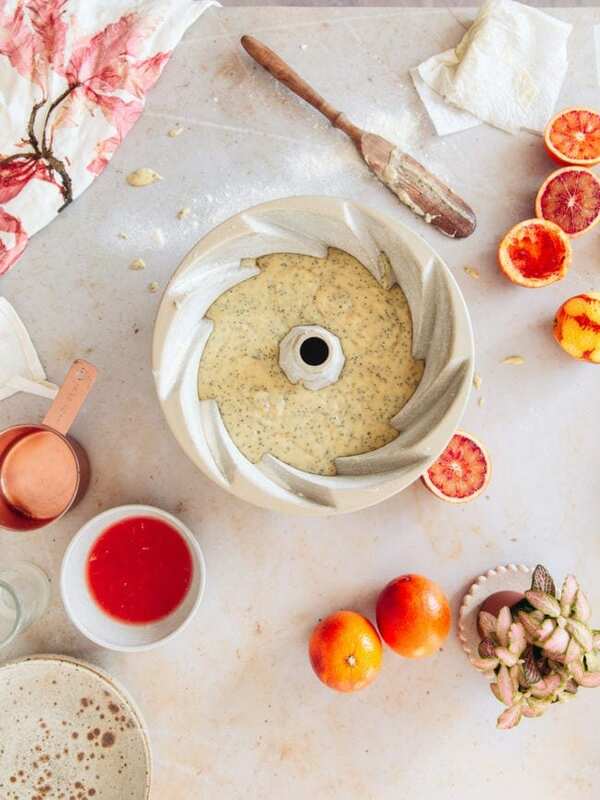 I used that recipe as a base for this cake, swapping all the lemon for blood orange and swirling in a good amount of poppy seeds (which always make citrus cakes more delicious, right!?). Usually the cake is brushed with a syrup post-bake but I opted for a blood orange glaze for the pale pink colour to shine. Plus I made it as a bundt which *always* look better with a drippy glaze on top! Preheat the oven to 180°C (160°C fan/ 350°F). Pour 2 tbsp of the melted butter into a bundt tin - I used a 12-cup bundt tin but you can use a 6-cup bundt tin if you have one. Use a pastry brush to coat the whole inside of the tin with the butter, getting into all the crevices. Add a little bit of the flour then tap & tilt the pan around to coat the bundt tin as well as possible, tapping out excess flour into a large bowl. Pour the remaining melted butter into that large bowl along with the sugar and eggs. Beat together until smooth. Add the orange zest, poppy seeds, salt and buttermilk. Mix until smooth. Add the flour, ground almonds and baking powder, then fold in gently until just mixed. 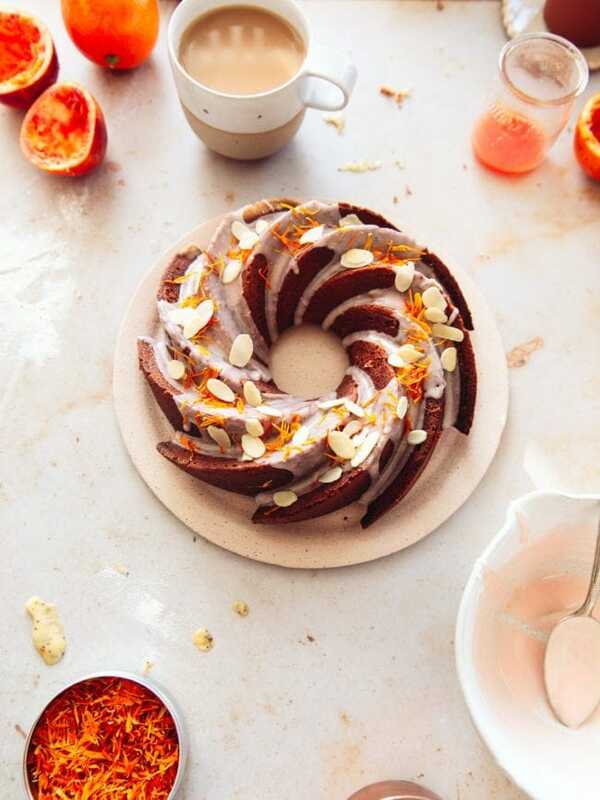 Pour into the prepared bundt tin. 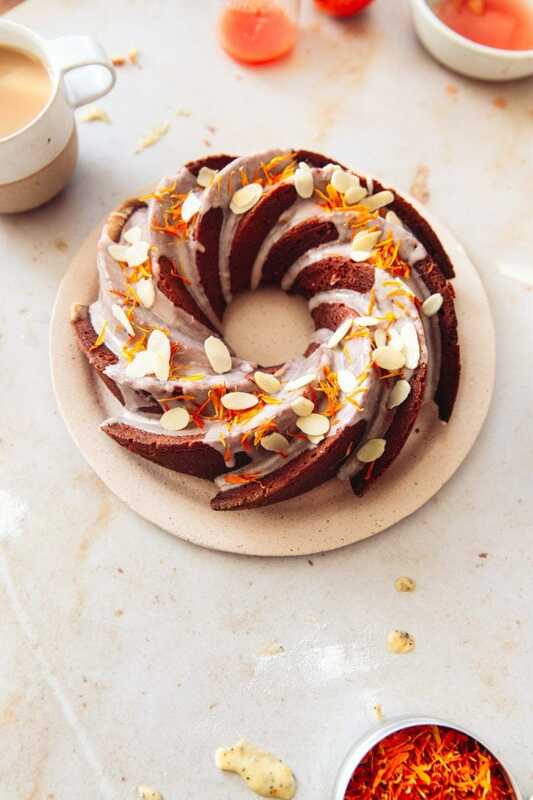 Bake for 25-35 minutes (baking time will depend on the bundt tin used), until a toothpick inserted into the centre comes out clean. Remove from the oven, let cool in the tin for 10 minutes before tipping out onto a wire rack to cool completely. 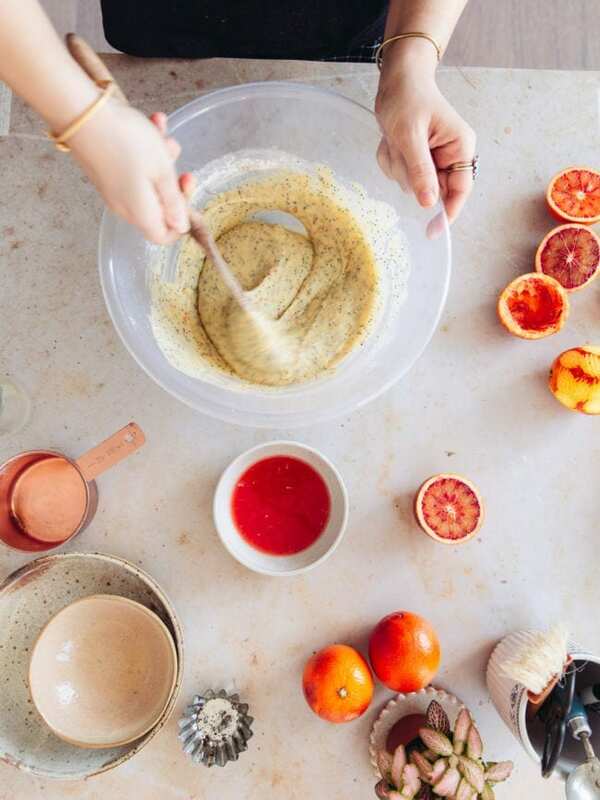 Mix the glaze ingredients together in a small bowl, adding enough juice to get a thick but pourable glaze. Pour it over the cooled cake. 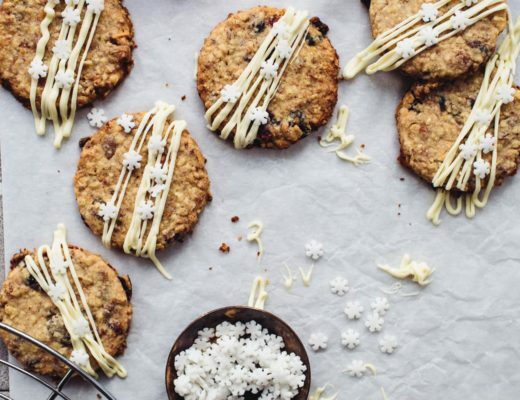 Decorate with flaked almonds/dried flowers if desired. 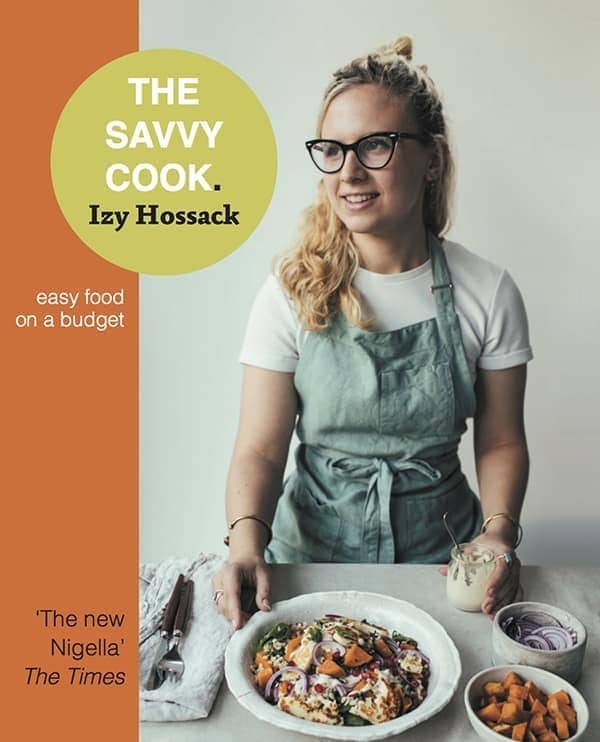 If you don't have buttermilk, you can either use some plain yoghurt thinned to the texture of buttermilk (basically the same thickness as double cream). 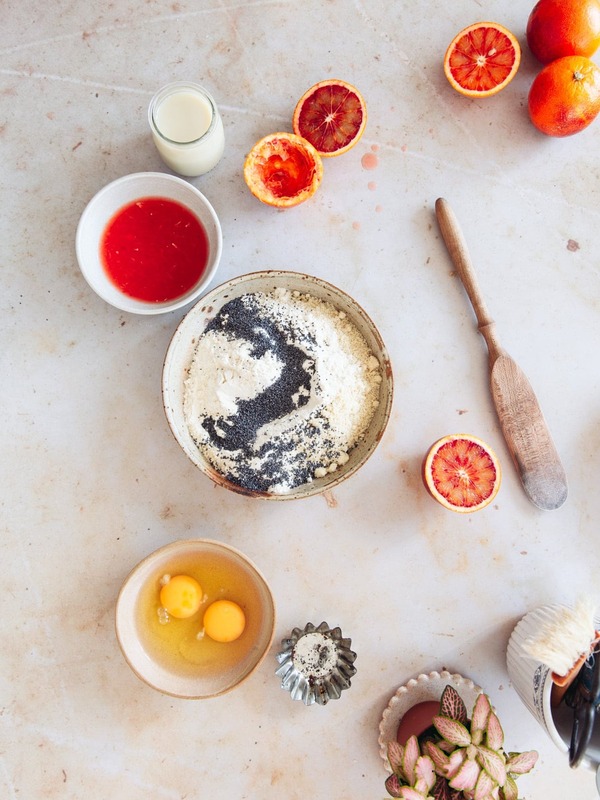 Or you can use a mixture of 1 tsp blood orange juice with 125ml (1/2 cup) of milk. 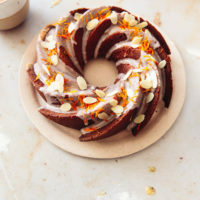 If you don't have a bundt tin, you can use a 2lb loaf tin instead. 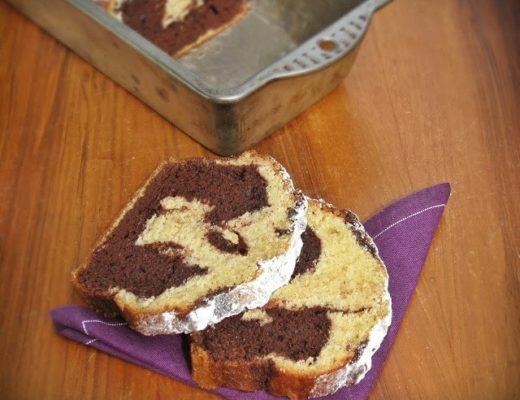 You'll need to bake the cake for 45-55 minutes. how nice! the ground almonds – are these almonds the ‘normal’ ones that are bought (i.e. not raw or roasted?) looks like a very lovely cake! Thank you! The ground almonds are just the ones ready made from the shop so yes, not roasted! I believe they are made by blanching, peeling and then grinding the almonds up.